You cannot add that amount of "MACEO PARKER 'Soul Classics'" to the cart because there is not enough stock (0 remaining). The Los Angeles-based Yellowjackets continue to forge ahead.They dress well (if casually) and play a brand of jazz that is discreet and refined and there’s something of the MJQ about them: Of the musicians picked as a backing group by Robben Ford in 1977, only Russell Ferrante (keyboards) remains. 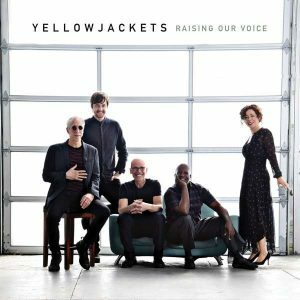 Now with the addition of Brazilian vocalist Luciana Souza, scatting and singing in both English and Portuguese, a totally new dimension is added to the Yellowjackets sound.